Meal prepping at the beginning of the week is one of the best ways to make sure you eat better and avoid the drive thru lines on even the busiest nights! 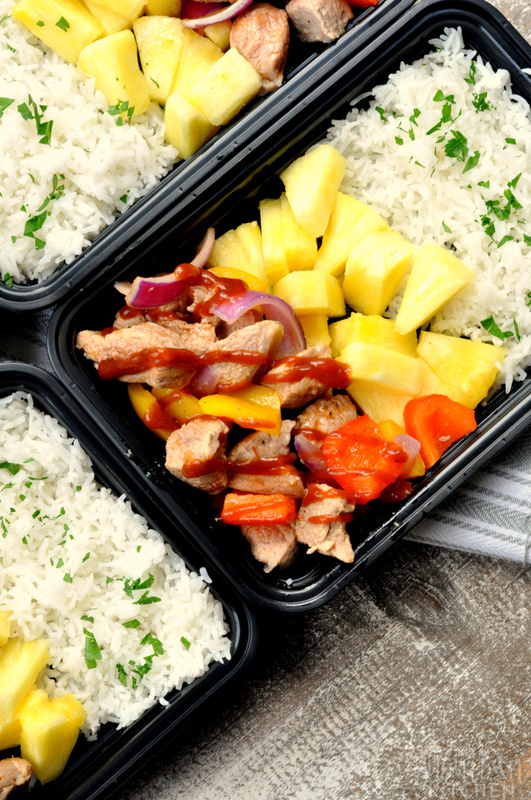 These Hawaiian BBQ pork meal prep bowls are going to go on your permanent menu rotation the moment you taste them. 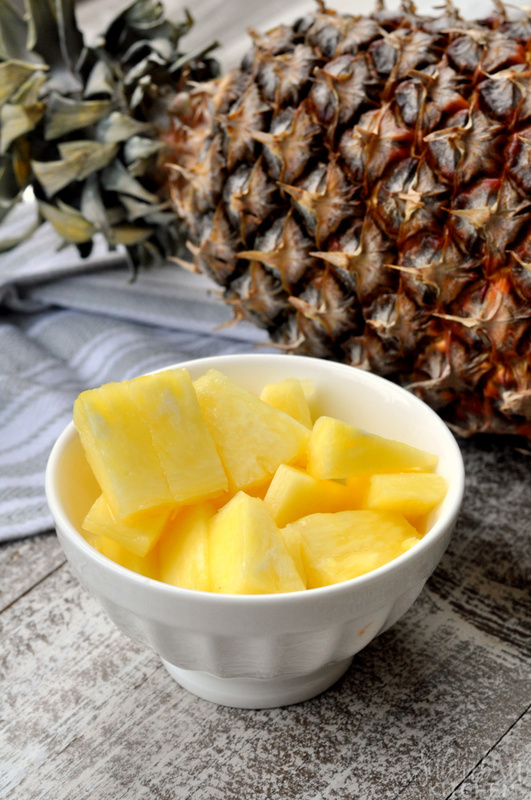 I use fresh pineapple in this recipe but, to save time, you can definitely substitute it with pineapple chunks in the can. Just be sure to get the version that is in juice and not syrup. 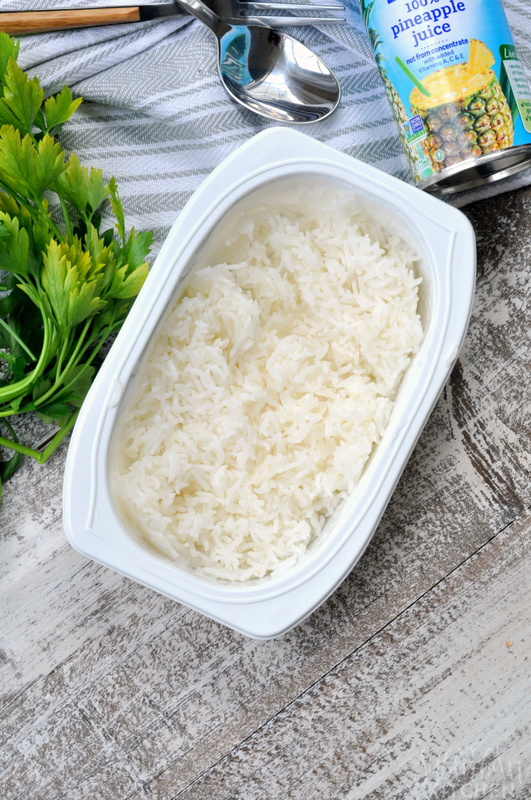 For the rice, I usually just use a long grain white rice and stir in a little lime juice and cilantro. Or, I’ll make mine with cauliflower rice and regular rice for the rest of the family if I am trying to eat more vegetables and less carbs. 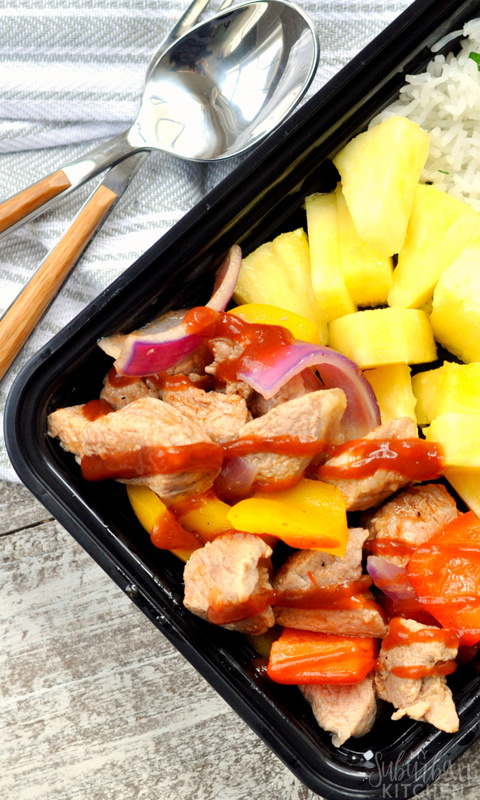 The pork for these Hawaiian BBQ pork meal prep bowls gets a big flavor boost from a quick marinade in a mixture of pineapple juice, lemon juice and garlic. Then, a small bit of the marinade is reserved and is added to the pan at the end to create a yummy sauce. I divide everything up between containers and then I have a quick grab and heat lunch or dinner whenever I need it during the week. 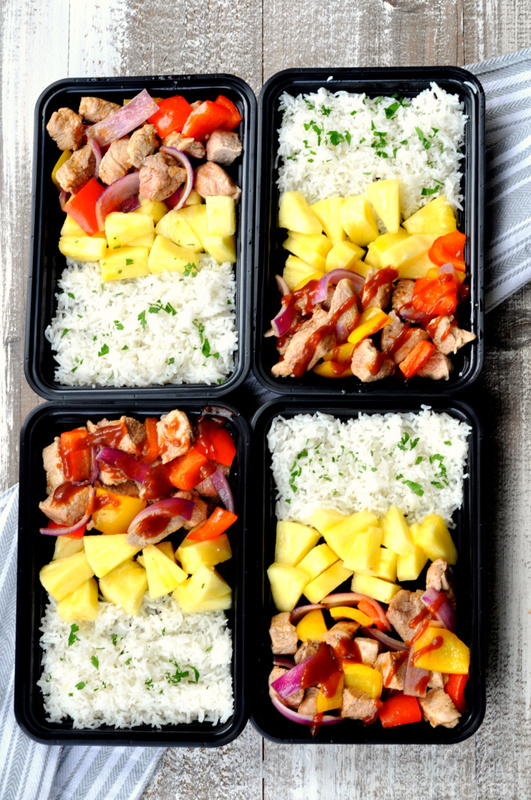 If you make these Hawaiian BBQ pork meal prep bowls or any recipe from the blog, I’d love to hear about it. Let me know in the comments or snap a photo and tag it #MySuburbanKitchen on Instagram or Twitter. 1. In a medium bowl, whisk together pineapple juice, lemon juice and garlic. Reserve 1/4 cup of marinade. 2. Season pork with salt and pepper. Add to remaining marinade and let sit for 5-10 minutes (up to overnight). 3. Heat oil in large pan over medium heat. Remove pork from marinade and add to pan. Discard marinade that pork was in. Cook pork for 2-3 minutes or until lightly browned (it does not need to be cooked through). 4. Add onion and peppers to pan. Cook for 3-5 minutes. Add reserved marinade and bring to boil. Cook for an additional 5 minutes or until pork is cooked through. Remove from heat. 5. In a medium bowl, stir together rice, cilantro and lime juice. 6. Serve rice alongside pork and pepper mixture. Top with BBQ sauce before serving. These look incredible! I saw them on Pinterest I think the other day and was very interested. The sodium is a bit high for me so I’d need to modify that I think. They look simple and sound delicious too. Meal prepping ALWAYS makes things so much easier! It’s a must in my house.